Today’s world is a technological one full of computers, mp3 players, and a large assortment of electronic devices of all kinds. This technological world has infiltrated children’s lives. Technology has many advantages for children, but in order for them to use it safely, there are several precautions you should take. Here are five ways to make technology safer for your little ones. There are numerous applications and programs that are designed for children. They claim that they are able to block any and all content that is unsuitable for them. Though they might be able to do a pretty good job, if you don’t test out the program for yourself, you cannot be sure. Every new program or application that comes out should be tested personally to protect your children. Trusting something without testing it yourself is not a good idea. In order to keep your children from playing online games all night long or looking at material that is unsuitable for their age, it is best to keep their computer, TVs, and all other devices in a common room shared by the family. The living room or multi-purpose room are both good places to put them. Regardless of what room you decide to place them in, they need to be in an area where you can have a clear view of the device’s screen. This will help you monitor your child’s activities. Another way to make technology fun and to keep your expensive electronic devices safe is to use leather cases. Children tend to be rough with devices, so getting leather ipad cases to protect your ipad will keep it from getting broken or damaged by your children. Almost every device has software with parental control capabilities. Whether it’s a computer operating system or a smartphone OS, you need to check the manual and implement the parental controls to protect your children from questionable material. This way they can have fun using devices and be safe, too. 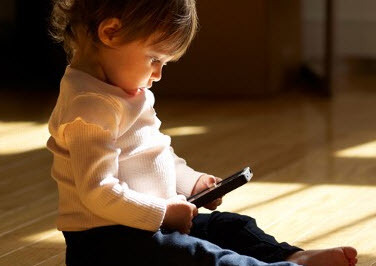 Another good way to protect your children is to make house rules concerning device usage. Children are learning to use devices at younger and younger ages, so be sure you limit the amount of time they can go online and use electronics at an early age. Also speak with them about what material they are allowed to view and what is not appropriate for them and why they shouldn’t view it.